Corfu, the first of the Ionian Islands encountered at the entrance to the Adriatic, was annexed to Greece by a group of Eretrians (775-750 BCE). In 734 BCE the Corinthians founded a colony known as Kerkyra to the south of where the Old Town now stands. The town became a trading post on the way to Sicily and founded further colonies in Illyria and Epirus. The coast of Epirus and Corfu itself came under the sway of the Roman Republic (229 BCE) and served as the jumping-off point for Rome’s expansion into the east. In the reign of Caligula two disciples of the Apostle Paul, St Jason, Bishop of Iconium, and Sosipater, Bishop of Tarsus, introduced Christianity to the island. Corfu fell to the Eastern Empire at the time of the division in 336 and entered a long period of unsettled fortunes, beginning with the invasion of the Goths (551). The population gradually abandoned the old town and moved to the peninsula surmounted by two peaks (the korifi) where the ancient citadel now stands. The Venetians, who were beginning to play a more decisive role in the southern Adriatic, came to the aid of a failing Byzantium, thereby conveniently defending their own trade with Constantinople against the Norman prince Robert Guiscard. Corfu was taken by the Normans in 1081 and returned to the Byzantine Empire in 1084. Following the Fourth Crusade and the sack of Constantinople by the Crusaders in 1204, the Byzantine Empire was broken up and, in return for their military support, the Venetians obtained all the naval bases they needed to control the Aegean and the Ionian Seas, including Corfu, which they occupied briefly from 1204 to 1214. For the next half-century, the island fell under the sway of the Despots of Epirus (1214-67) and then that of the Angevins of Naples (1267-1368), who used it to further their policies against both the Byzantine Empire now re-established in Constantinople and the Republic of Venice. The tiny medieval town grew up between the two fortified peaks, the Byzantine Castel da Mare and the Angevin Castel di Terra, in the shelter of a defensive wall fortified with towers. Writings from the first half of the 13th century tell of a separation of administrative and religious powers between the inhabitants of the citadel and those of the outlying parts of the town occupying what is now the Spianada. In order to assert its naval and commercial power in the Southern Adriatic, the Republic of Venice took advantage of the internal conflicts raging in the Kingdom of Naples to take control of Corfu (1386-1797). Alongside Negropont (Chalcis), Crete, and Modon (Methoni), it would form one of the bases from which to counter the Ottoman maritime offensive and serve as a revictualling station for ships en route to Romania and the Black Sea. 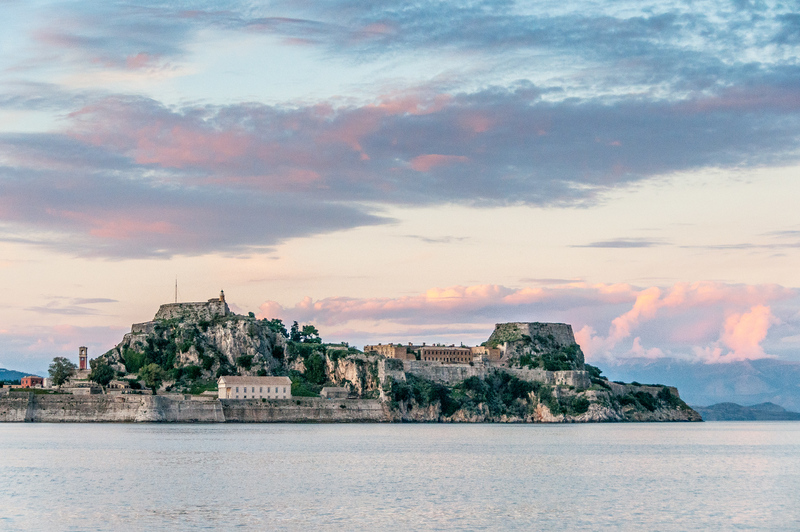 The ongoing work on defining, improving, and expanding the medieval fortified perimeter reflects the economic and strategic role of Corfu during the four centuries of Venetian occupation. In the early 15th century activity concentrated on the medieval town, with the development of harbor facilities (docks, quays, and arsenals) and continued with the renovation of the defense works. Early in the following century a canal was dug, cutting off the medieval town from its suburbs. Following the siege of the town by the Turks in 1537 and the burning of the suburbs, a new program of works was launched to isolate the citadel further and strengthen its defenses. The strip of land (now the Spianada) cleared in 1516 was widened by demolishing houses facing the citadel walls, two new bastions were raised on the banks of the canal, the elevation of the perimeter walls was lowered, and the two castelli were replaced by new structures. The work, based on plans drawn by Veronese architect Michele Sanmicheli (1487-1559), were completed in 1558, bringing the town’s defenses up to date with the rapid progress made in artillery in recent decades. Yet another siege by the Turks in 1571 decided the Venetians to embark on a vast project covering the medieval town, its suburbs, the harbor, and all the military buildings (1576-88). Ferrante Vitelli, an architect to the Duke of Savoy, sited a fort (the New Fort) on the low hill of St Mark to the west of the old town to command the surrounding land and at sea, and also the 24 suburbs enclosed by a ditched wall with bastions and four gates. More buildings, both military and civil, were erected and the 15th-century Mandraki harbor was restructured and enlarged. At the same time, the medieval town was converted to more specifically military uses (the cathedral was transferred to the new town in the 17th century) to become the Old Citadel. I knew almost nothing about Corfu before I arrived, which made the surprise that was waiting for me even greater. I really liked the Old Town of Corfu. It was a more relaxed version of Dubrovnik. The fact that I arrived at the end of October and everything was really cheap didn’t hurt either. Unless you fly, getting to Corfu will require a 2-hour ferry ride from the mainland. The history of the Old Town of Corfu is really tied more to Venice than it is to the rest of Greece. In addition to Dubrovnik (which was not Venetian), Kotor, Split and Venice itself are all world heritage sites in the region which are similar. I can easily see myself returning to the Old Town of Corfu again. While it is a tourist town, I get the feeling it caters more to Greeks than to people from outside the country. The Old Town of Corfu is a cultural UNESCO World Heritage Site in Greece. It was inscribed in 2007 during the 31st session. It is a city that is located on the island of Corfu in Greece’s Ionian Islands. Aside from being a capital for the island of Corfu, it is also considered as the capital for the region of Ionian Islands as a whole. 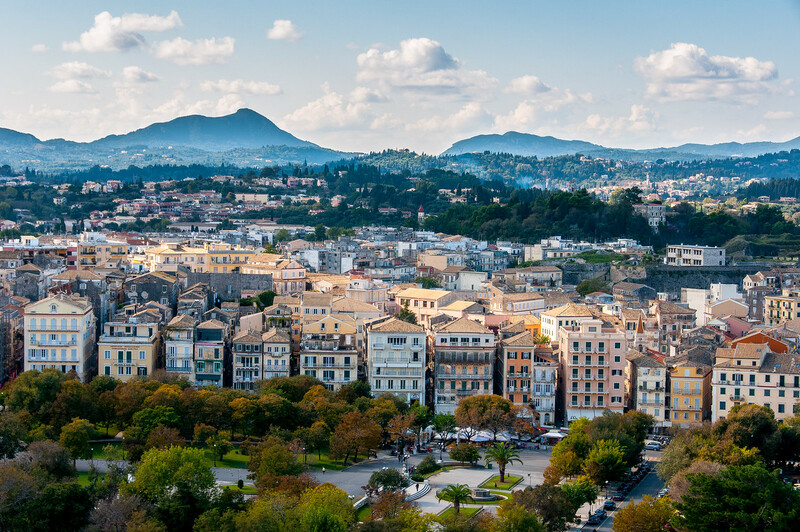 This ancient city, now commonly referred to as the Old Town of Corfu, is historically significant for a few things. Its strategic position in the Adriatic Sea played a crucial role in the 8th century BC. 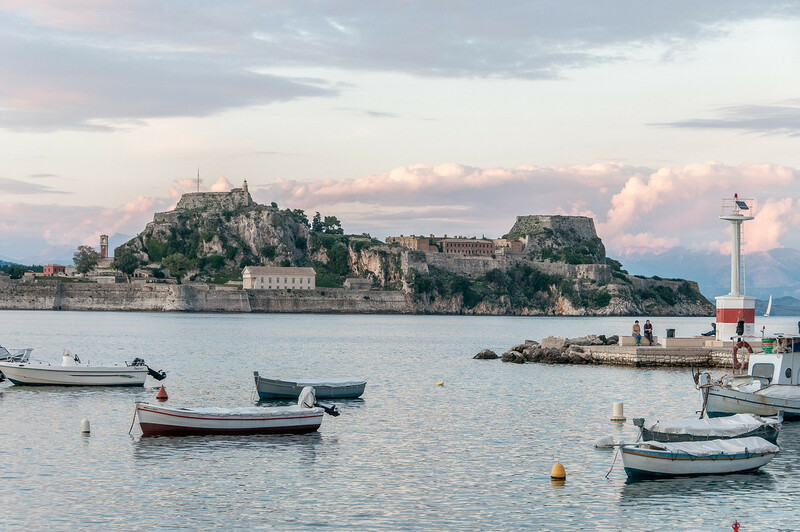 There are three forts located within the town that served to defend the maritime trading activity in Corfu and Venice from the Ottoman Empire. The urban and port ensemble of the Old Town of Corfu is also part of its cultural identity, which was recognized by UNESCO. The Old Town of Corfu is known as a fortified Mediterranean port. 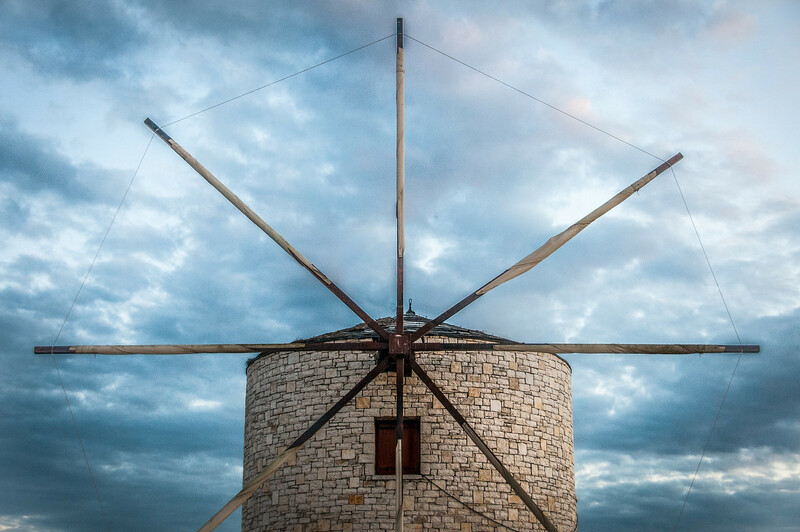 Indeed, it features an ensemble of fortifications that aim to protect the island’s strategic location in the Adriatic Sea, which made it a hot destination for maritime trading during its time. The history of the Old Town of Corfu goes back to the 8th century BC and in the Byzantine Period. Hence, it has several influences from various cultures and people that helped shape the identity of this ancient town. By the 15th century, Corfu went under the Venetian rule and did so for four centuries after that. It then went under the rule of the French, British, and Greek governments. It also served to defend the Venetian maritime empire against the armies from the Ottoman invaders. The fortifications in the Old Town of Corfu showcase some of the best examples of fortification engineering during ancient times. These fortifications were designed by Architect Sanmicheli. The fortification was able to showcase how it was able to defend an island in practical warfare. The identity of Corfu was also somehow shaped by the neo-classical building stock and the systems of fortification that was present on the island. It is therefore considered as one of the greatest fortified port cities in the Mediterranean. The responsibility of protection and preservation of these old fortifications at the Old Town of Corfu is shared by various bodies and organizations. Aside from the efforts by UNESCO, the Hellenistic Ministry of Culture together with the Municipality of Corfu and Ministry of the Environment work on preserving the fortification ensembles in this old town.